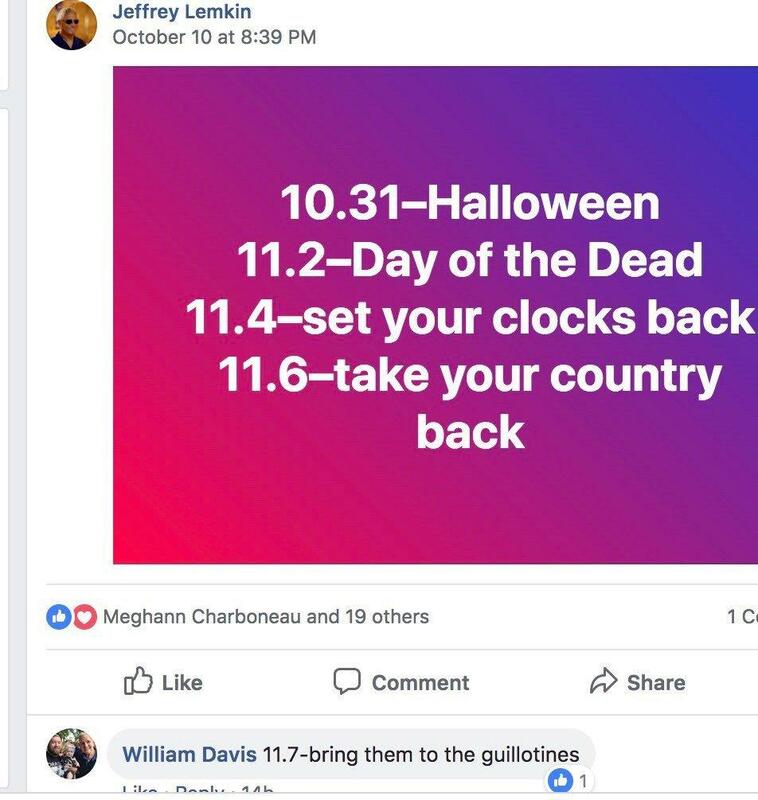 11.7 – bring them to the guillotines. Yeah, OK, but apparently only for a week, right Corey? Those standards only apply for a week. Why wasn’t he fired for this kind of rhetoric? Does anyone actually think it won’t occur again? I’d say in light of what Day said next, in an apparent attempt to justify Davis’ comment, the answer is yes, it will occur again. “In a time where Republicans are being targeted for their stance on the issues, the comments made by the Minnesota DFL’s deputy communications director seemingly perpetuate the belief that violence against one’s opponent – especially if they are conservative – is acceptable,” Samsundar said. Rep. Steve Scalise (R., La. ), who was shot in 2017 by a gunman targeting Republicans, said Holder’s comments were a threat to democracy. An inside joke? 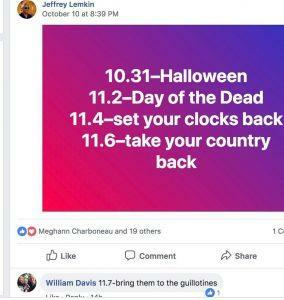 Talk of murdering political opponents with a guillotine is what passes for jokes among Democrats? Let me let you in on something: It’s not a joke, it’s the plan. The Second American Civil War can NOT be that far away; in the very near future; don’t you think ? I am active duty U. S. Army—-Air Cavalry………Zapping Communist Liberals will be fun….We are looking to it……RIP Communists…………. I think it is very close unfortunately. I’m hoping it never happens, very destructive to the country and our people.